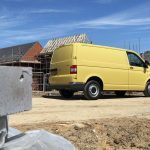 Unfortunately van tool theft is rapidly on the rise in the UK and thieves are jumping at the chance to steal anything they can get their hands on. Confused.com has compiled an informative list of van security tips which you can check out here. For more articles on vans click here, here and here. Love vans and sports? Take a look at our Vauxhall competition and you could win 2 tickets to go and see the footy! Probably one of the more obvious solutions but always lock your van. Even if you’re only popping into the shop for a few minutes it’s still enough time for thieves to make off with your property. Security locks are a great way to give your van extra protection. Alarms are a great and cost effective way to safeguard your van. Once an alarm triggers, the chance of someone hearing it are high if you’re in an urban area. This can ward off thieves and reduce the chance of your van being a target in the first place. Always try and park your van in a well-lit area and avoid secluded ones like public car parks and industrial estates. These tend to be quite poorly lit areas which are the perfect setting for thieves. Thieves operate 24/7. Your van is equally as vulnerable during the day as it is at night. If you’re parking at a store, for example, park close to the entrance rather than being tucked away out of sight. Fit a partition behind the passenger seats to add extra security. It’s great for preventing prying eyes seeing the contents of your van. It’s also a good safety measure, if you have to break suddenly it will stop anything you’re carrying being thrown to the front of the van. Advertising your business is important but can also act as a beacon for thieves when it’s printed on your van. Some professions carry expensive tools and equipment in their vans, meaning the type of branding you have can act as an advertising poster for thieves, not just potential customers. Tracking your van may sound expensive but it’s becoming much more affordable for personal use. A device is discreetly fitted inside your van that transmits a signal which can be tracked. If your van were to be stolen, you’d have a much higher chance of getting it back faster and in one piece. Lock any expensive equipment in a secure storage box and bolt it to the floor of your van. This will make it harder for thieves to make a quick exit with your property. Ladders are one of the most common items stolen from the roof of a van. Invest in some lockable clamps to secure and thief-proof your ladder. Copper coils are another common target, so invest in some pipe tube carriers that can be fixed to the roof for extra security. If your business involves transporting money in your van you’re a golden target for thieves. Installing a vehicle cash safe is the best way to secure money and reduce the risk of theft.